Thirty Fingers and Thirty Toes: Not Even an . 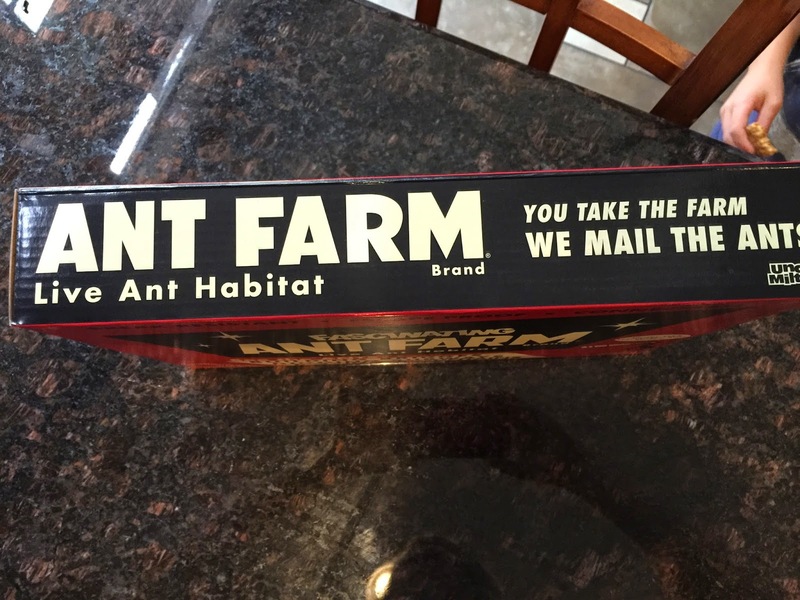 . .
Not Even an . . .
. . . Ant Farm. I was emphatic about that. Once we discovered we were having triplets, our lives became consumed with details about how we would manage everything. We survived the laundry list of medical issues that swallowed our existence initially. The kids started to grow, they seemed to turn into real little people. People that ate, slept and pooped all over us. We started getting asked if we thought we might have more children. They tried, (not well), to stifles chuckles as they asked. And when I said 'they', I mean strangers who decided it was ok to say and ask such things to and of persons they had never before met. And by that I mean, we politely said things like, "Have a nice day", and continued dragging our way through Costco. Fast forward a year when our neighbor had a friend whose dog had created a litter of out-of-dog-wedlock puppies, and asked my husband if my kids would like one. In front of the kids. He rapidly assessed the situation and steered her back toward her garage. He then shared with her a philosophy that he knew I had adamantly stamped on our lives, and rightly knew I would say in response. "Not ONE MORE living thing in my house. Not EVEN an Ant Farm!" In my overzealous online shopping (because I need to compete with myself every year to complete my holiday shopping at least as early as I have the previous year), I came across 'vintage' (does this make me old??) things like the pull-along phone, and a Viewmaster (I still have my original, but that's a whole other post). I also found, wait for it . . . an Ant Farm. I did not pay the price that is listed in this link, far below it, which may have contributed to the delinquency of my shopping habits, again, another post for another time. So I figured, my kids are almost seven, this could be fun! husband. I reminded him of my statement threaded through the years, and he responded, "And yet it appears to be sitting on our counter". Indeed it was. but the devil is in the details, or the beauty is in the semantics. However you want to spin it.